Home/Blog/Use Video to Boost Email Marketing Metrics! You’ve done all of the hard work of enticing people to opt-in to your email newsletter, creating a substantial database of current customers and prospective clients. Your subject lines are creative and eye-catching, and your emails go out at the ideal times of day and week to achieve optimal open-rates. Your advanced metrics system even tells you that your open-rates are significant, lingering above the national average. Then why is it that hardly anyone is clicking thru to your website to learn more or make purchases? Even worse, why are people unsubscribing after just one or two emails? You take pride in your content, and feel that it’s newsworthy to your audience. Maybe it’s not your content, but the platform that your content is delivered in. Studies have shown that incorporating video with your email marketing has the power to not only boost your click-thru rates by as much as 300% (Forrester Research), but can also reduce unsubscribe rates by as much as 75% (Eloqua)! That means that, up to four times as many will click-thru to your website if you have a video than if you did not. It also means that up to 3/4 of the people who were considering opting-out of your campaigns will reconsider- all through the power of video. 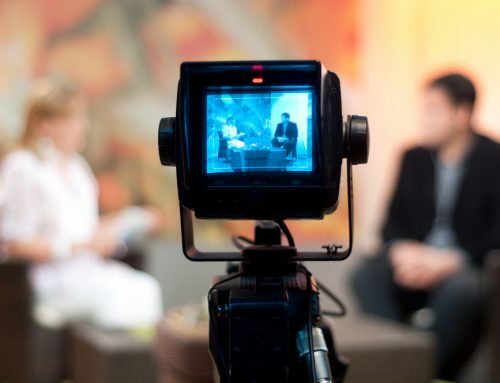 Videos build trust with your audience, more-so than copy alone. The customer sees that you go the extra mile to “show” and not just tell the story. The higher the quality of the video, the more faith a customer puts into the relationship. As other video statistics have shown, prospects who watch a video of a product or service, are 64% more likely to make a purchase (comScore). Why not add a video to your email reach, and increase your potential? To answer a very common question, “video email” is actually a bit of a misnomer. It is not a smart practice to email an actual video to your audience. It would require far too much bandwidth, recipients would be suspicious of malicious content and wouldn’t open it, and firewalls or email client programs on higher security settings would probably just block the email entirely. The key is to include a great screenshot from your video with an iconic “Play” button. People find it hard to resist, and will click-to-play, leading them to your video, ideally hosted on your website. Simple! Do you need help with a video production for your email marketing campaign? To learn more about our video production services click here. To speak with someone about your project, or to request pricing, please click here.